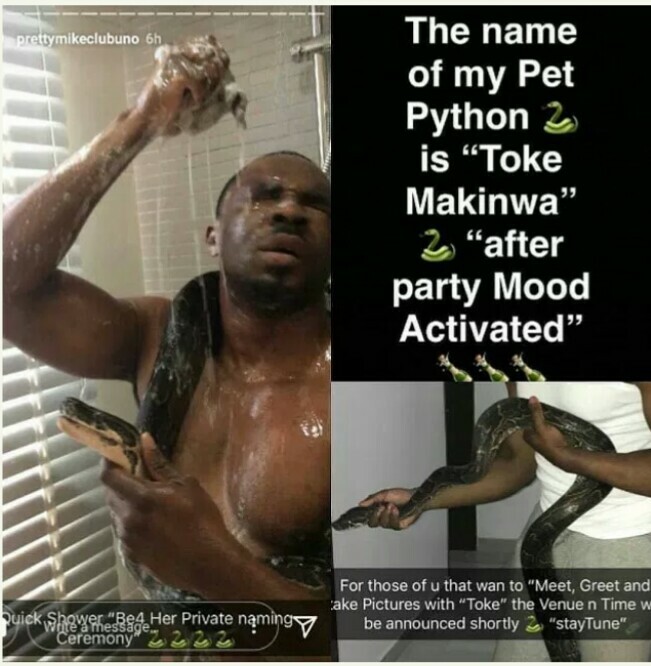 Controversial Nigerian called pretty Mike as shared on the internet the photos of himself bathing with his Python. He disclosed that the Python's name is 'Toke Makinwa'. He also stated that if you wanna meet 'Toke Makinwa' (the python) you should stay alert as the day and venue for visit will be he communicated on the internet. Well, Nigerians are wondering why he gave the pet a celebrity's name.